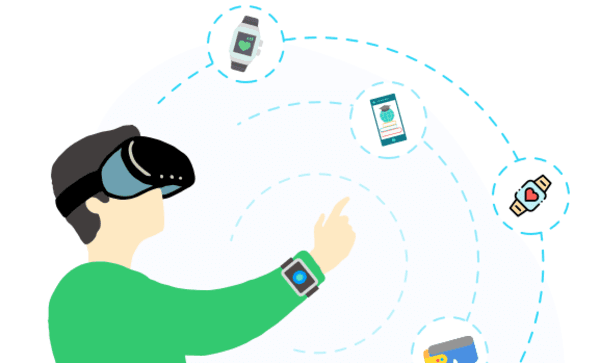 Home | Uncategorized | How Wearable Data Stored in the Cloud Help Doctors? How Wearable Data Stored in the Cloud Help Doctors? Wearables and wearable health apps are mainstream now, so much so that even health regulatory bodies are measuring their implications and benefits. If smartwatches and the fitness bands were known to have made the life of fitness freaks better by allowing instant evaluation of health metrics, the time is not far when they will be considered as regular medical tools. Some recent developments confirm this trend. Fitbit, the ace fitness band manufacturer for the first time came up with elaborate plans to use the Cloud Healthcare API of Google to help medical facilities and professionals manage patient’s healthcare better. Apart from just the concerns about data sharing practices and similar threats, such collaboration can have a broad implication on the overall care of patients who are exposed to such connected wearables. When it comes to meeting medical compliance standard and existing regulations, this teaming up with HIPAA-compliant Google data storage will only strengthen Fitbit’s position allow it to reach a wider audience without much concerns on data security protocols. If we take the Fitbit example as a starting point, we can look forward to many such upcoming wearables that with the help of cloud-based data storage can contribute to the patient care immensely. Let us explain here how data fetched by wearables being stored in the cloud can help doctors. Wearables broadened the scope of collecting health data to the optimum, and we now have access to every-minute patient data thanks to the wearable devices that continually gather up to date health information. Most advanced fitness bands and wearable health apps now constantly feed us with real-time patient data corresponding to different metrics and health functions. This further made the formation of medical data analyst infrastructure possible. Such data analyst facilities like the Pittsburgh Health Data Alliance can play a more relevant role by collecting medical record through an array of wearables and processing them for precise medical use. 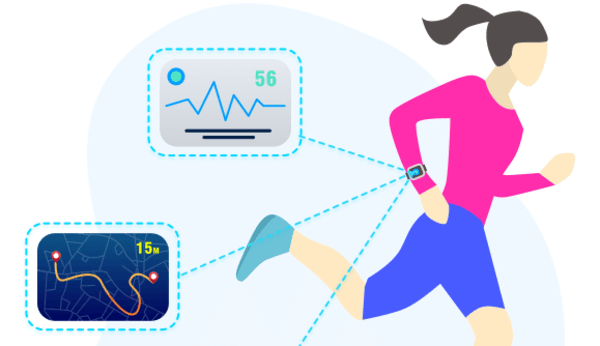 Remote monitoring of patients in real time is one of the critical benefits that connected wearables are often credited with. 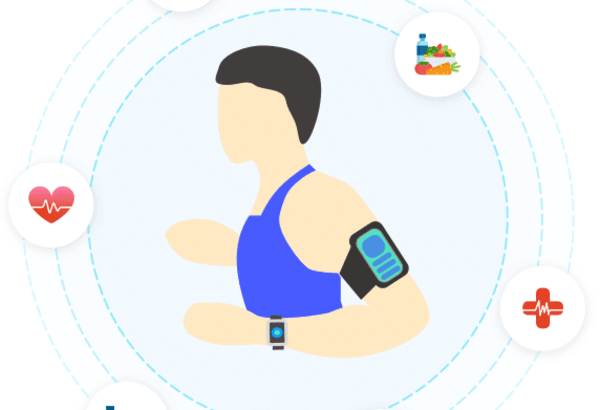 While globally, a vast amount of deaths occur due to lack of timely medical intervention, connected wearable devices fetching health data and constantly passing them to health practitioners can deliver a conclusive solution to this. This will also help to reach patients in remote areas where doctors generally struggle to achieve. On the cost front, this will also help to reduce all incorrect diagnosis and readmissions in hospitals resulting in reduced overhead healthcare cost. But such wide-ranging benefits of remote monitoring through data feeds of wearable devices can only have severe and positive implications on the healthcare sector, when a larger cloud-based data store and infrastructure will be in place to accumulate patient data and processing them for individual patient care needs. With a large data store and infrastructure in place, real-time wearable data will also play a significant role in advanced medical researches. Maintaining a sterile atmosphere in healthcare facilities is considered to be a significant challenge. While thousands of patients and their relatives walk in a hospital, keeping a strict hygienic code of conduct remained to be a big challenge. In this regard, connected wearables can play a significant role, even if they are partially used for some sensitive patients and medical wards. The proximity sensor capable of detecting a degree of cleanliness of the approaching staff or person can prevent unhygienic contacts to a great extent. Even though wearables and connected gadgets in healthcare facilities almost became inevitable thanks to a range of positive implications and benefits, we need to weigh the risky sides concerning data security and privacy as well. The first argument that falls in place tells us how the personal patient information moving to cloud storage can be exposed to misuse with the wrong intent. While all applications and connected devices are outpourings with their brazenly full data, it is incredibly difficult to track the underlying practices concerning data access and utilization. This is why conforming to existing data security protocols and maintaining strictly controlled access to patient data are more critical now than ever before. While almost all of the medical fraternity including professionals and physicians are positive about the data-centric innovation that is taking place to improve public health, nobody can undermine the importance of statutory healthcare regulations in this regard. The acts like the Health Insurance Portability and Accountability Act (HIPAA) has the wide-ranging implications on data practices corresponding to wearable and mobility. While HIPPA doesn’t restrict collecting medical data of patients, it categorically states that physician being the custodian of patient’s data is not authorized to share the data without the consent of the respective patient. The best thing is most leading could data platforms created for connected wearables are HIPPA compliant and this is reducing the security and privacy concerns to a great extent. The stricter compliance with health regulations for sharing health information fetched by connected wearable will have two-fold implications on the patient care and public health. While prevention of the misuse of health data will make the health systems more reliable, more specific and relevant access to health data can be guaranteed for treatment. Secondly, such a vast pool of health data protected and maintained by cloud systems can also serve as a goldmine of raw material for advanced medical research projects. 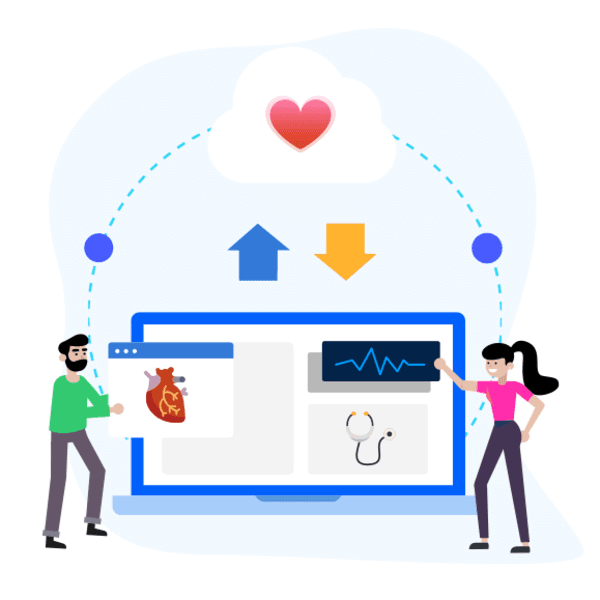 Such cloud-based collaboration will only make health data subject to widespread democratization which in turn will benefit all stakeholders including medical practitioners, establishments, patients, researchers, and medical insurance companies. Connected wearables will continue to emerge more significant and more influential for the healthcare sector than ever before. Naturally, we can expect the emergence of more health data clouds to boost the accessibility of wearable data for more precision-driven patient care. The recent Fitbit partnership with Google for using its Cloud Healthcare API is the latest example. Juned Ghanchi is a co-founder of IndianAppDevelopers, a leading mobile app development company in India and USA. He loves to share his knowledge about mobile technologies on various blogs.